Sandra Frances Newell, 70, died May 2, 2012, after a long, hard fought battle with ovarian cancer. Sandra is a Little Rock native born on April 22, 1942. She is survived by her loving, devoted husband of 50 years, Jim Newell, her mother Frances Murphree, son Chris Newell and his wife Paula Newell and granddaughters Rachel Newell and Laura Newell, daughter Paige Newell and grandson Brady Beavers. She is preceded in death by her father, Melvin T. Murphree, and in-laws Howard and Naylon Newell. 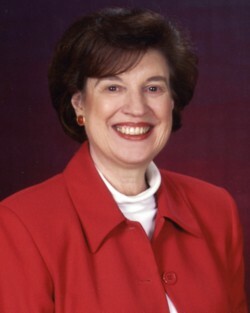 Sandra was a Little Rock native and attended Hall High school and graduated from Little Rock University (UALR) in 1963. She was a teacher in the Little Rock School District and an advocate of public education throughout her life. Jim and Sandra are members of First United Methodist Church and are blessed by all of the love and support they have provided. Sandra was a dedicated member of many clubs and organizations and is known for her unwavering presence and active participation. She will be remembered for her positive energy and strong spirit and was a shining light in the lives of all her many friends. She is loved and will be missed, but her legacy of hope and strength will live on in the hearts of all who have loved her. Visitation will be from 6-8:00 PM on Friday, May 4, 2012 at Roller-Chenal Funeral Home, 13801 Chenal Parkway, Little Rock, Arkansas, (501)224-8300, and a Memorial Service will be held at First United Methodist Church, 723 Center Street, Little Rock, Arkansas, at 11:00 AM on Saturday, May 5th with a reception to follow. Special thanks to the entire staff of Little Rock Hematology Oncology and the 10th floor of Baptist Health for the care and compassion they have shown to Sandra and her entire family during this difficult journey. Memorials can be made in her honor to First United Methodist Church or the Sandra Murphree Newell Endowed Scholarship Fund at UALR.